We enhance your lifestyle with windows, doors, big doors and value-driven, guided expertise. Specializing in providing Architects, Interior Designers, Design Builders, Upscale Commercial / Residential Remodeling Contractors and Homeowners with the highest quality products and service in the market place. We have two showrooms. Our showroom in Denver is 5,000 sq. ft. and we also have one in Grand Junction. We serve everywhere from the Denver metro area to Ft. Collins to Colorado Springs to Grand Junction. 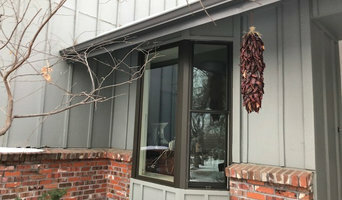 Southwest Denver's #1 Source for Your Window & Exterior Home Needs! *Authorized Platinum Pella Certified Contractor* For over 40 years, DMD Builders has renovated Colorado homes by installing wood, composite and vinyl replacement windows with the highest standards for quality and craftsmanship. We specialize in replacing your old, drafty or worn out windows with the best products in the industry and top of the line Denver replacement windows. 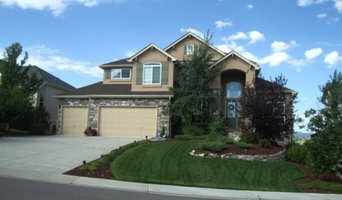 We are the largest Pella Window contractor in Colorado and also offer Anderson and Milgard wood and composite windows. We provide new and replacement windows in Denver and all of Colorado. For your FREE in-home consultation from one of our certified consultants please call us today we will reply within 24 hours! Our certified consultants can help you choose a window or door that is: + Financing available + Energy Efficient + Weather-Tight + Attractive + Affordable + Easy to Operate + Easy to Clean + The Highest Quality Available! For your FREE in-home consultation please call us today at 720.538.5956! DMD offers #1 rated products: Pella’s Duracast fiberglass, Andersen’s Fibrex composite, wood windows & doors from Andersen, Milgard and Pella and patio and entry doors from these and other top manufacturers. We are one of only four Pella Certified Contractors in the state. GS Exterior Experts is an exterior home improvement company specializing in siding, windows, stone, stucco, additions and roofing services. We offer commercial and residential exterior remodeling services within the Denver metro area. Over the last 10 years, we have grown as a respected, disciplined and honest company delivering quality products and service. We are Denver’s top provider of new & replacement windows and siding. At Lifetime Windows & Siding, we know the benefit of high quality, energy efficient windows and siding for your home. With over 15 years of combined experience doing business in Denver, we have built a reputation for quality service and customer satisfaction. Lifetime Windows and Siding has all the necessary licenses and permits, and we are fully insured, so you know that even if something goes wrong, your investment is covered. Our mission is to manufacture highly versatile window, glass and door solutions that meet the energy-efficiency needs of a changing world. From our quality craftsmen who custom build each high performance product, to our collaborative, problem-solving customer solution experts, we strive to create an extraordinary and lasting customer experience. Alpen High Performance Products is an American window and door manufacturer that designs and builds some of the most energy-efficient window and door products in North America and the world. Alpen’s core product offering draws on a 30-year history of industry leadership in advanced, high performance window and glass manufacturing and innovation. To carry this legacy forward, we continually improve our product offering by developing ongoing enhancements that are responsive to the needs of our customers. We strive for open, honest dialogue with our core constituents and we are actively engaged in many sustainable, energy-efficiency focused and healthy high performance building programs. Window Cleaning for residential, commercial up to 5 stories high, and solar panels. Expert Window & Door Replacement 40 Years of Service in Denver! In business for over 45 years, Gravina's Window Center of Littleton, has taken the time to build long-term relationships by helping their customers renovate their homes with the highest quality products and services. Gravina's Window Center of Littleton is committed to providing their customers the highest quality replacement windows and doors through the use of an experienced sales staff, skilled craftsmen and courteous personnel. By providing fiberglass replacement windows to the front range area, Gravina's Window Center has set the standard in customer satisfaction only a third generation family business can. Call us for a FREE Evaluation today! We are a family owned business that has been installing siding, retrofit windows, and patio doors in the Denver Metro area since 1989. We have grown into an elite company because of our hard work and dedication to customer service; but we are not large enough to forget that your job is the most important job to you. We look at every new project as a new relationship, and a chance to help homeowners make one of their largest investments - their home - a better place to be! Bathe your home or office with natural light and save money, too. At Skylight Specialists, serving the entire Denver, metro and front range area, we've been installing, repairing and customizing skylights for residential and commercial customers since 1980. From a single skylight repair to a commercial glass building, we deliver quality workmanship and stellar customer service. Our design technicians know how to use light to open up your home and can help you determine the right type of skylight enhancements that will also provide thermal protection to save on heating and cooling costs. Our fresh air skylights even give homeowners the added benefit of ventilation with a solar-powered remote to open and close your “roof window.” As a full-service, exterior glazing company our offerings include: • Fresh Air Velux skylights • Custom, low e skylights and Sun Tunnels • Glass sunrooms and greenhouses • Commercial skylights • Commercial daylighting systems • Walkways and glass canopies Our 5-star certified Velux technicians also install and repair other Velux products. Visit our website to see our online portfolio and learn how natural light can make a difference in your home and office environment. Skylight Specialists has been a member of the Better Business Bureau since 1990. Our products come with 5- to 10-year warranties against leaks. And we firmly stand behind our workmanship. Free onsite estimates are available to anyone within our standard service area. For projects more than 30 miles from our office, there is a small travel fee. Let Skylight Specialists give your home an uplifting transformation without breaking the bank. Call for a free phone consultation today! Revolutionary window company that gives FREE estimates online in 5 minutes. NEVER deal with a sales person! No money down, EVER! You don't pay until your windows are installed. We make purchasing windows for your home EASY & AFFORDABLE. *Authorized Kolbe Windows & Doors Dealer* Over 35 years Mountain Window Specialties, our commitment in letting your home express itself goes beyond just providing a wide selection of unique, custom options. Our goal is to provide energy-efficient, highly functional and stylish window and specialty door products that add beauty and demonstrate your refined tastes. Doors and windows are part of the architecture of your home and deserve as much attention in their selection as any custom feature. Our drive to serve the exclusive, high-end builder market at a competitive price is based on putting customer service first, going beyond the ordinary to provide more than our customers ever imagined. Premium products, innovative designs, and choosing only the finest craftsmen has put us on pace to become the top distributor and installer of quality products in the Colorado region, ensuring customer’s satisfaction and elevating function along with form. From cottage to castle, there is every reason to rise above “ordinary”. K and G Solutions, LLC. Greg has been in the industry for over 16 years. Seeing all this business has to offer, the good, the bad and the ugly his priority and experience have taught him customer satisfaction comes first and foremost. He has worked every corner of the business from installation, sales representative, office administrative, general manager, finance manager, accountant and much more. Seeing everything and wanting to make a difference in the industry he created K&G Solutions. Kara has worked in this industry for close to 9 years. Having a lengthy history of customer relations she loves the interaction with the customers as each one is unique. She values and supports family values which plays a role in how the business is ran. Believing customers become family she strives to make sure happiness is delivered from start to finish. The #1 solution to your home improvement project, no matter how big or small. Every project will have personal attention from start to finish. We take a tremendous amount of pride in how we treat you, a core value we have is to never install something we would not use in our own home. You will never be sold something you do not want, we take the time to listen to you, your needs and ideas. Believing and treating everyone with respect and offering great quality at a great price. We want you to tell your friends and family about your experience with a smile, satisfaction guaranteed! K and G Solutions LLC in Denver is the ONLY window repair and installation business that offer's the best quality at the best prices! *Authorized Pella Certified Contractor* KV Windows was founded in Colorado and has become a locally-owned leader in fast service and quality installations. 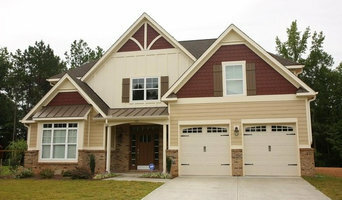 We have spent years working in home construction, window repairs/installs and in insurance claims. KV Windows is licensed, bonded and insured contractor with certified technicians. We are dedicated to setting the standards in quality, value, and customer service in Colorado Windows. It is our mission to provide you with reliable products that improve the overall quality of your home or business. *Authorized Pella Business Accelerator Member* Windows 360 is among the leading window providers in the Colorado area. Our team strives to improve our way of business and our customer’s experience through every project. All of our team members are OSHA and AAMA certified with experience is residential and commercial construction. About Josh Hutton – The Founder Josh Hutton established Windows 360 with the purpose to provide a better customer experience and window service to people across Colorado. We perfected the project process and ordering experience to complete each window installation. These practices have changed the way other window companies operate today. Through the continuous focus on great service, quality, innovation, value and community leadership has allowed Windows 360 to grow and become a trusted provider in Milgard, Pella, and Alside products and services. Our passion, innovative concepts, and dedication helped us continue to forge ahead as industry leaders. Our Mission Our mission is to deliver superior quality service and workmanship to our customers through innovative techniques and hard work. We serve our clients by providing knowledgeable problem evaluation techniques, environmental-friendly solutions, and superior service. Our Vision Our vision is to continue to be the nation’s premier provider of cutting-edge window solution technology to property owners in all market segments. We aim to our continual growth in giving the best quality products to every one of our clients. Environmental Philosophy The team at Windows 360 believes in sustainable living, recycling, minimizing our ecological footprints, reusing and restoring. We aim to make a difference, maintain and improve our environment at levels that future generations can enjoy. Contact Us! Want to know more about Windows 360? Please dial 720-598-5800, or send an e-mail to josh.hutton@windows360denver.com. En renovering kan innebära allt ifrån att kitta fönster till att sätta in helt nya fönster. Är det så att man ska gå igenom ett helt fönsterbyte och omfattande fönsterrenovering bör man kontakta en fönstertillverkare i Denver som kan leverera hela processen. Man kan även hålla ögonen öppna för om företaget arbetar med moderna nybyggnationer eller om de har tidigare erfarenhet av att renovera gamla fönster. Är det så att man bara behöver byta fönsterglas eller vill få hjälp med att montera ett fönster så kan man vända sig till ett mindre och mer specifikt företag. En förutsättning för vackra fönster är att de både stilmässigt och funktionellt går med husets stil. I äldre byggnader behöver man ibland byta enstaka fönsterglas och det är då smart att vända sig till någon som kan anpassa dessa precis efter fönstret eller dörren. Här får man leta efter någon som man anser har rätt stil och som utfört liknande arbeten tidigare. Vill man måttanpassade nya fönster i gammal stil finns det företag som arbetar med detta. När det kommer till fönsterreparation och fönsterservice i Denver, CO är utbudet enormt.